In an age inundated with fake news, curating trust with a community is absolutely crucial to the success of local papers. To remain relevant, there’s a huge need for top quality editorial content. We spoke to Irma Green, National Group Editor of Caxton Local Media, about how their papers and digital platforms maintain content that is consistently high quality, newsworthy and relevant for the community that they serve. How is Caxton’s content the bloodline of the papers’ success? 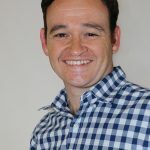 Caxton’s local newspapers’ success is attributed to the fact that they are uniquely positioned to offer quality, hyper local content to its readers. Digital content consumption is a reality for media companies and Caxton has embraced it with title sites and a social media presence for all their publications. Although the newspapers still offer the reader content which can’t be found somewhere else. 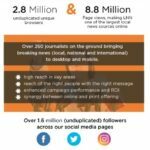 How does Caxton ensure that its journalists create quality content and provide instant ground-breaking news reporting? The newsrooms are geared to deal with breaking news stories, which are published online immediately. But once a story is prepared for print, it’s important to find a new angle. Our readers want interpretation and palatable information when they pick up a newspaper. Our editors and journalists are constantly trained on how to deal with the changing news environment. When we train, we also focus on other areas like photography, media law, layout and design, subbing and headline writing. Upskilling our staff remains a priority in Caxton newsrooms. In the rush to be the first to break a big news story, there’s so much fake news out there. How does Caxton ensure that they are trusted content producers? When it comes to publishing, our motto is “don’t be first, be right”. Newsrooms globally want to break news and offer it to their readers first. But, by doing this, some of the best news groups have burnt their fingers. Readers are tired of being fed fake news, they want reputable information from trusted sources. We strive to be that trusted source when publishing content. There are mistakes that go through, but we handle it swiftly and have processes in place to deal with it. Are Caxton’s digital assets as important as the print assets? How does the content reporting differ online to print? Print and digital are “married”. Both are equal partners in the relationship and receive the same attention. The way we publish on the two platforms differ. Online is quick-paced. On our local sites we don’t often publish long feature type stories. Online offers journalists the scope to add various multi-media elements to a story, including video, podcasts, galleries and hyperlinks to similar stories. In print, our local newspapers focus on profiles, human interest stories, schools, clubs and community information unique to a particular area. 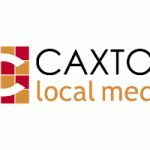 What key aspect makes Caxton different to other media reporting companies? Our extensive national reach. You will find a Caxton Local Newspaper in most small towns, regional hubs and provincial capitals. Our network of journalists operates from approximately 80 sites across South Africa, covering vast areas of our country. This enables the group to effectively deal with breaking news scenarios. With the assistance of Caxton’s national team, stories are easily shared across all the online platforms swiftly. How do social media platforms complement your content delivery? Our newsrooms are all active on social media and share content on community groups daily. Our reporters are members on these groups which are rich sources of information and stories. Local communities eagerly participate in conversation on issues such as service delivery in the area. And lastly, what would you say about the future of local print? If people ask me about the future of print, I just enquire whether they, a family member or their children have ever been in a local newspaper. Nine out of ten times these articles are cut out and kept in an album or scrapbook. Whether you are a young mother whose child has just been in the newspaper on their first day of school or a pensioner who has been photographed at a Christmas lunch, that clipping will be cherished and valued.